In a bid to make farming climate resilient, reduce farmers’ risks and enhance their income, the State Government has come up with Odisha Organic Farming Policy-2018. Representational image of Organic farming . 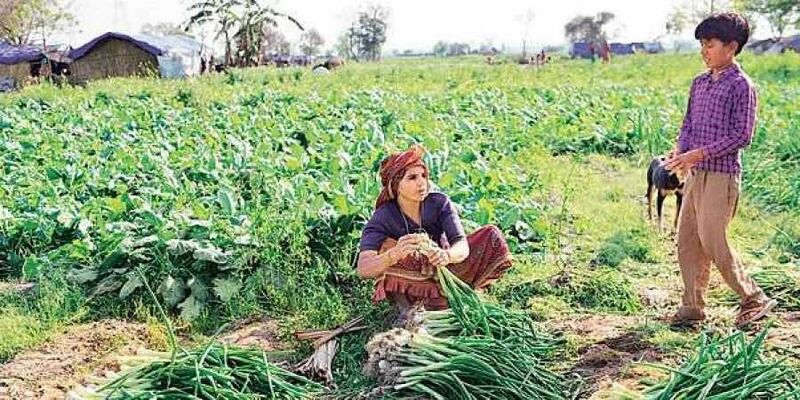 BHUBANESWAR: In a bid to make farming climate resilient, reduce farmers’ risks and enhance their income, the State Government has come up with Odisha Organic Farming Policy-2018. “The policy has been framed to promote organic farming and provide market for the products,” said a notification of the Agriculture and Farmers’ Empowerment Department. Agriculture department officials said as per the policy, the Government has planned to cover two lakh hectares of land under organic farming through a combination of activities on agriculture, horticulture, forest and pasture land within a period of five years. In order to achieve the target, a pattern of assistance has been proposed under which, financial aid upto `10 lakh can be provided for 50 acres of land for organic farming. The financial assistance will be funded through a convergence of State plan budget and Centrally sponsored schemes such as Paramparagat Krishi Vikas Yojana (PKVY), Rashtriya Krishi Vikas Yojana (RKVY) and Mahatma Gandhi National Rural Employment Guarantee Act (MGNREGA). To ensure effective implementation of the ambitious policy, the Government has also planned to establish Odisha Organic Mission (OOM). “The mission will be responsible for developing necessary programmes and operational mechanisms for organic farming,” the officials said. The policy, which has been prepared in consultation with all stakeholders, will be promoted through knowledge dissemination, soil health management, production and supply of quality indigenous seeds, maintenance of bio-diversity in crop systems along with provision of adequate agricultural credit, appropriate farm mechanisation, post-harvest management of organic produces and market development, the department officials said. They said healthier soil along with eco-friendly approach will reduce input costs of farming.